If you're still unfamiliar with tools you need right on your Smartphone to edit music tracks, worry no more! We've got you covered! We've got the top 10 best-of-breed free audio editing tools you can now use on your android phone. Though some of the Android music editor apps listed below only have one feature or the other, there are also tailored ones with multiple features you'll surely love. So, choose your pick accordingly that best fits your needs and learn how to edit music files on Android. This app is probably the most popular free android audio editor online, with approximately 5 million installs; this app undoubtedly could help you edit and cut your own music with ease. MP3 cutter and Ringtone maker is an easy tool that allows you to record your own audio, cut out fragments from a song or use audio from a film or video and save it as your personal ringtone, an alarm, a notification tone or music . This app allows you to create your own unlimited MP3 ringtones from your personal choice. This app supports MP3, WAV, AAC, AMR and other audio formats. Want to set your favourite song as your ringtone but doesn't want the whole song to be played out? Download this app and customize your own ringtone for just a few minutes. ZeoRing is another audio editor that allows you to trim any of your MP3's, AAC, AMR and WAV files and producing them as one of your phones ringtones. You can record sounds, trim it and make your personal alarm tone or a notification tone as well. This app supports these file formats: AAC/MP4, MP3, 3GPP/AMR, and WAV. You can produce your own song clips, ringtones, notification and alarm tones. You can even assign these tones to your specific contacts. This is another android application used for cutting and merging Mp3 files. This app only offers basic audio editing feature yet very useful. Download this app and merge your favourite songs into one Mp3. Aside from merging MP3's, this app also allows you to trim mp3's and give you an option to set trimmed audio as alarm, ring tone or a notification tone. It works pretty much the same with the previous app only that this doesn't consume too much of your phone memory space. If you only need to merge or cut some of your song tracks, you can download this handy and easy-to-use app. Like the previously mentioned app, this MP3 editor allows you to edit, merge and configure music files and set it is as a ringtone to your Smartphone device. This app comes along with different plug-ins - MP3 cutter, Ringtone Maker and Merger that allows you to perform these 3 actions. MP3 Merger allows you to merge multiple MP3 files into one single audio file. Aside from this, this app also allows you to cut certain Mp3's into chunks. Ringtone Maker plugin of this app allows you to navigate through the outputs from MP3 merger or from MP3 Cutter and set specific its output as your ringtone. This application gained good reviews from the users because of its handy, easy to use interface. Worried of your music presentation for the next day? This app may help you. Download and see the features for yourself! This app offers different type of audio editing features. Unlike the previous apps, this app would allow you to edit on the music/audio quality speed itself. By using this app, you have the ability to modify the tempo of your song track, 4x slower or 4x faster. 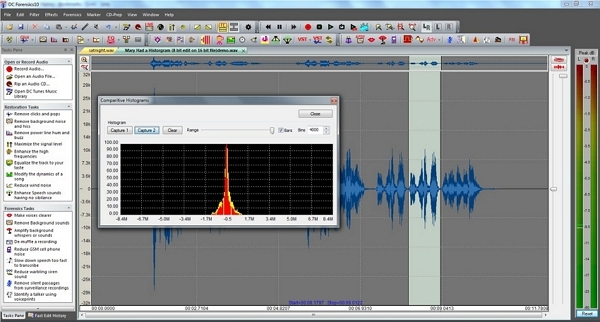 You can save your final output to wav, mp3, off or flac. Need to have slow paced music? You might want to check this out! Change and modify your song settings to satisfy your needs. Download this app now to access these functionalities. Unlike previous applications, this app has the ability to add special effects to your audio such as noise cancellation, amplifying audio, edit audio echoes and normalizing acoustics. Aside from creating personalized ringtone, this app would also allow you to do basic audio editing - from cutting, trimming and inserting music. This app supports multiple audio formats (.wav, mp4, mp3) and other else. 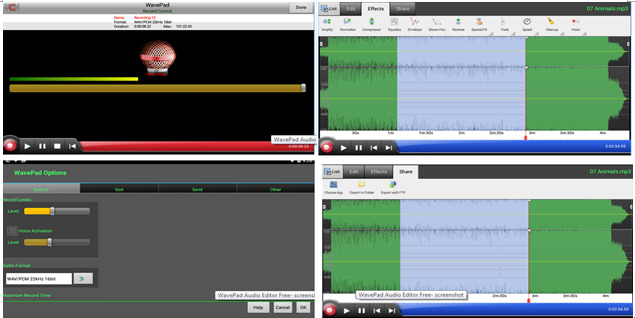 WavePad works just within audio waveforms so inserting sound from other audio files, applying sound effects and trimming audio is much easier and quicker. 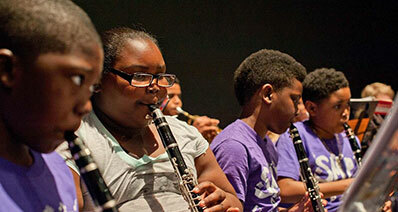 Fine-tune your music by simply eliminating the noise at the background and see better, professional audio results. This music editor is another mobile application that can help you create and mix your own music right into your smartphone. 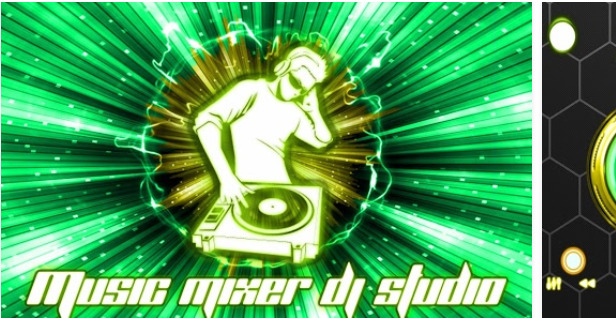 Are you into mixing multiple tracks and love to edit music like a pro DJ? Well, check this one out. This app allows you to play 2 tracks at the same time, add sound effects music equalizer and cross-fade between them. Choose your own playlist and drag them right into the deck player. Mix, remix, loop, and scratch music right from your smartphone - anywhere, anytime. You can save your music mixes and play them over and over again. Download this app to practice and experience what a real DJ does! Beginner? Not a problem since this app is totally user friendly. Unleash and discover your own potentials. This app allows you to edit audio more than just creating and editing MP3 ringtones. This app allows you to do basic audio trimming, convert audio to other audio format, and acts as a tool that would allow you to extract music from a video - extract MP3 from MP4 video. The audio conversion of this app allows you to convert wav/wma and other audio format to mp3. Other features also include audio recording, moving files to another location, delete and share audio files. Wanting to have a copy of the soundtrack from your favourite video for film? Download this app and be able to extract MP3's from there. 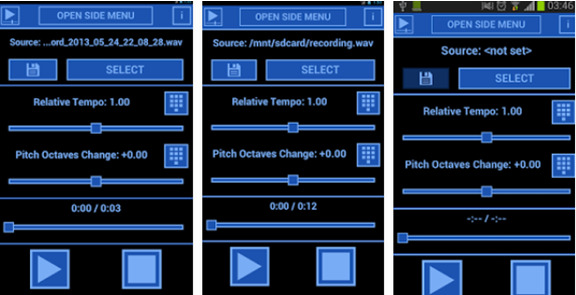 This app is a sound recording and mixing studio for Android. This app supports the most popular audio formats and featured audio recording effects like compression, reverb and more. MixPad Free would also allow you to make your own podcast, mix instrumentals and create your own music mash-ups. DJ's at heart would totally love this! Download this app and be able mix your own personal music, add sound effects and share your mixes to your friends. 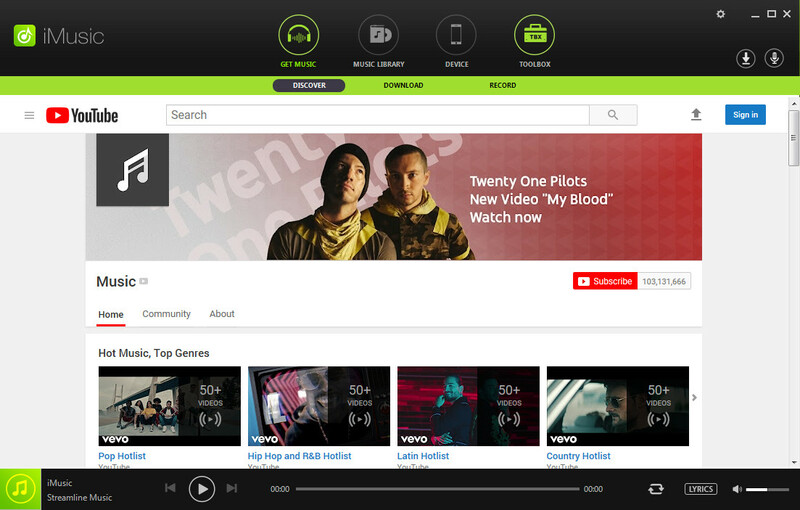 Are you fond of creating your own music mixes and mash-ups? If yes, then consider downloading and installing this app into your Smartphone. 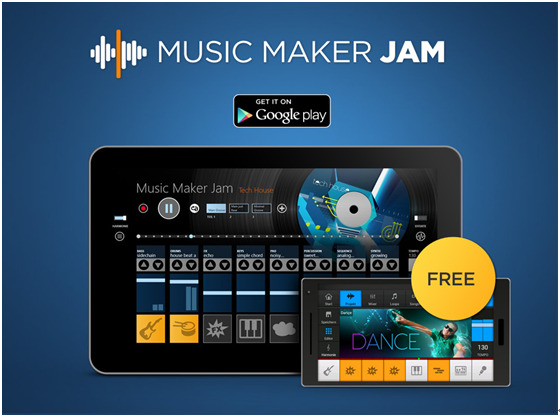 Music Maker Jam is a free android app that allows you to create your own tracks from different music genres - be it hip hop, dubstep, or rock. You can also record you own vocals using the voice recording feature and make sound on your own. This app allows you to change music tempo and other sound effects that produce amazing results. Once you're done with editing your music tracks, you can directly upload them to soundcloud and share it with your friends.There is an in-app purchase for Music Maker jam with additional features compared to the free version. Download this app now and record your own tracks and share them with your friends and let them be amazed of its spectacular real time effects. Start creating your own party playlist now and discover more what this editor can offer you.